The shadow of violence hung over South Sudan throughout 2014 as fighting that erupted in Juba in December 2013 spread around the country. Numerous peace deals were signed, but almost immediately broken, and by the end of the year, the violence was still seething. 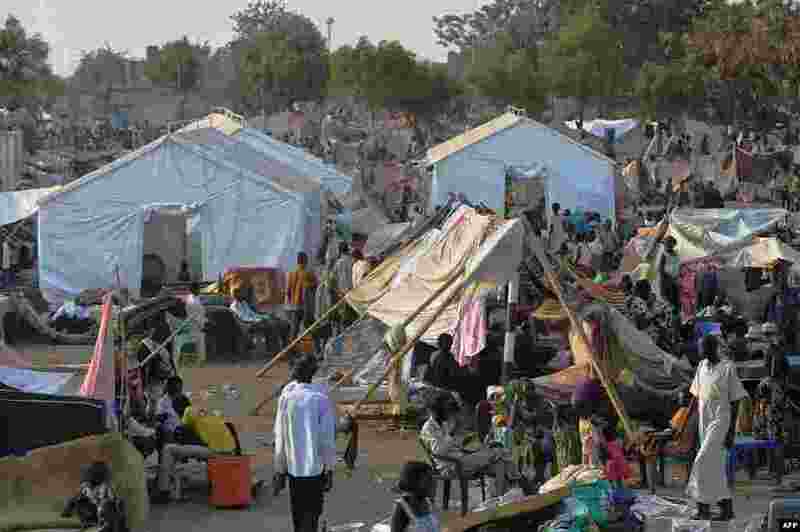 1 People gather at a makeshift camp at the United Nations Mission in South Sudan (UNMISS) compound in Juba, Dec. 22, 2013, a week after South Sudan erupted in violence. 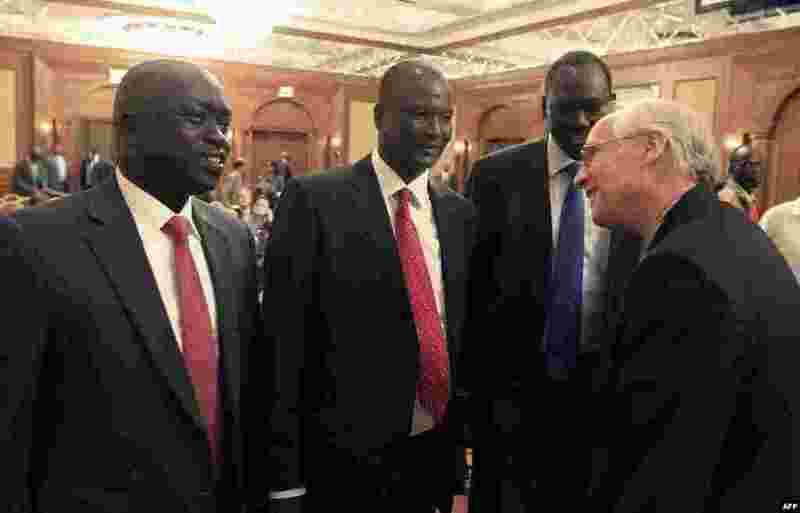 2 Members of South Sudan's rebel delegation talk with US Envoy to Sudan and South Sudan Donald E. Booth (R) on Jan. 4, 2014 during talks in Addis Ababa to try to broker a ceasefire deal between government and rebel forces. 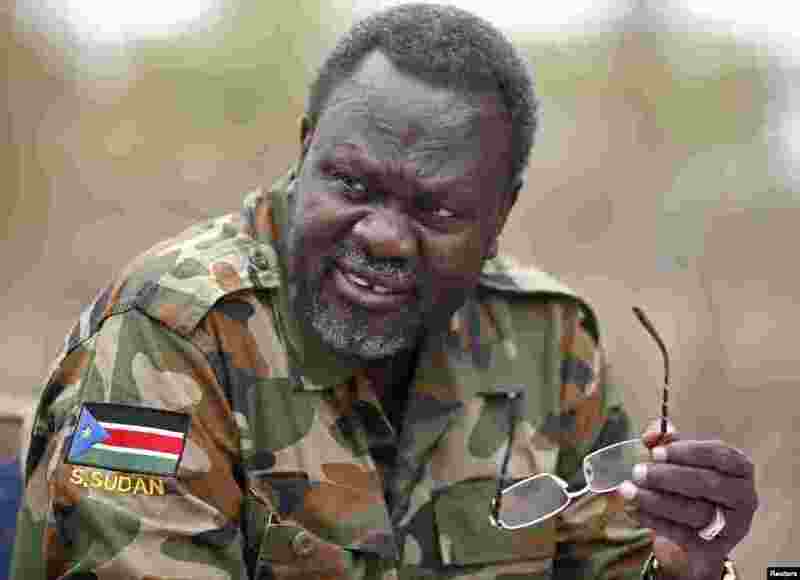 3 South Sudan's rebel leader Riek Machar at an undisclosed location in Jonglei State, Feb. 1, 2014. 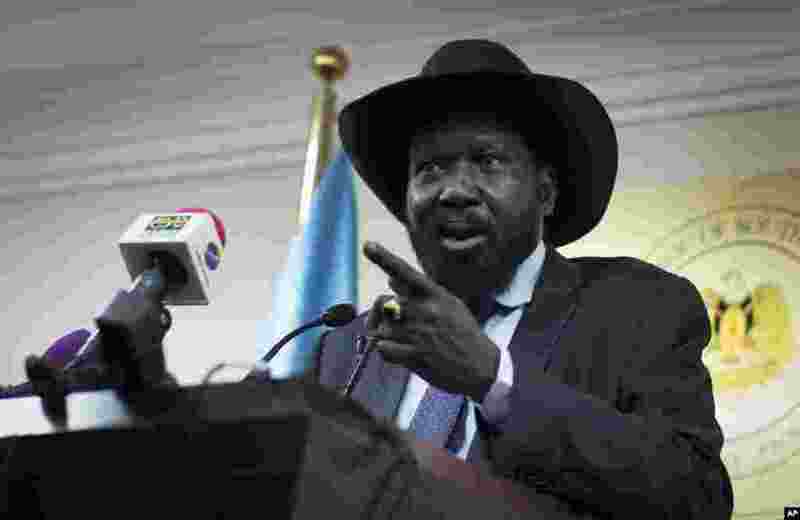 4 South Sudan's President Salva Kiir addresses the media in Juba, South Sudan.